Keep your home or business spotless with janitorial and housekeeping maid services from CLEANING CREW OF CAPITOL HILL, LLC in Washington, D.C. CLEANING CREW OF CAPITOL HILL, LLC, provides uniformed commercial and residential cleaning to remove all traces of uncleanliness from your home or office. Whether it's cleaning your kitchen or emptying the trash, we provide all kinds of housekeeping and commercial janitorial services to keep your property in tip-top shape. 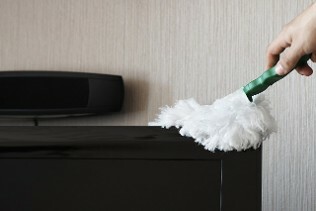 Contact Cleaning Crew of Capitol Hill 202-510-4620 for Janitorial Services, Housekeeping (Maid) Services. We provide Commercial Cleaning, Carpet Cleaning, Cleaning Services, Housekeeper, Building Cleaning, After Event Cleanups, Construction, Cleanups, Powerwashing, Floorcare Services: Buffing, Stripping, Waxing and General Office Cleaning in the Washington Metropolitan Area. Are you worried about getting your security deposit back from your landlord? Put your fears to rest with housekeeping and janitorial services from CLEANING CREW OF CAPITOL HILL, LLC. We do everything from cleaning stoves and refrigerators to cleaning baseboards and washing your walls (if they're not re-painted) in order to help you get your deposit back. We have maids for movers who will assist in packing and unpacking during your move. 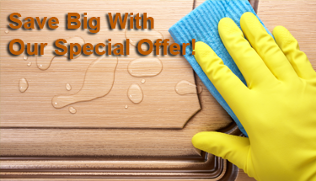 E-mail us or call us at (202) 397-2012 or (202) 510-4620 for uniformed janitorial cleaning services backed by many years of experience and great references!